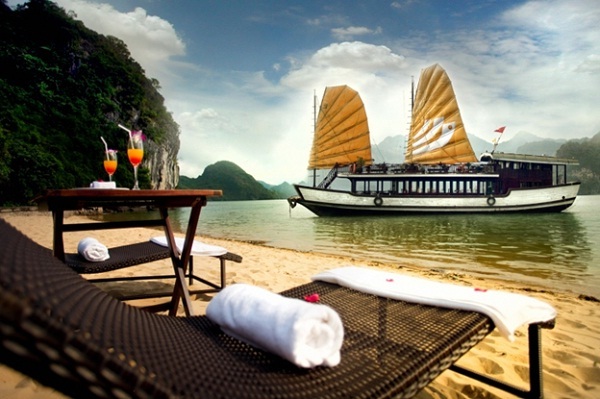 Paradise Luxury cruises feature 68 luxurious cabins and suites as well as an exciting list of Halong activities to be enjoyed while experiencing the spectacular scenery of Halong bay on one of the best Vietnam cruises. Officially opened on 18 December 2007, Haling Jasmine, one of the newest four star junks set up the standard for services and amenities on the bay. Built in the 1930’s Indochine style, Halong Jasmine will offer 22 spacious cabins, restaurant, lounge and two special jasmine Suites with their own jacuzzi & balcony for uninterrupted views of Halong bay. Halong Jasmine can accommodate 80 passengers at any time across four luxurious decks, with an overnight capacity of 48 passengers. The attention to detail and quality of design is apparent in every inch of this newly-built cruise, artfully marrying space, rich 1930s Indochina-style wooden decoration and exquisite ornamentation throughout its air-conditioner bedrooms, restaurant, bar and communal spaces. Based on oriental style with contemporary luxury, Bhaya Cruises established new standards of luxury cruising in Vietnam when Bhaya Classic since 2007. 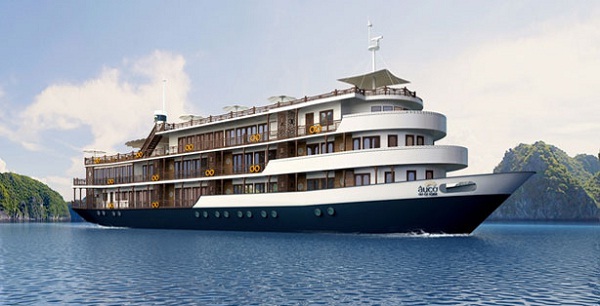 The Bhaya Classic fleet (3cruises: Bhaya Classic, Bhaya Legend and Bhaya Spirit) features a total of 60 luxury cabins and suites accommodating a maximum 120 passengers for Halong cruises or hosted special events, for example weddings, corporate retreats, incentives, meetings, conferences, etc. Fitted out to resemble a traditional Asian junk, the wood-clad Violet features gleaming wooden floors, opulent silks and velvets, and cabins with floor-to-ceiling windows that frame the breathtaking views. Tourists will find all the amenities they would hope in a larger vessel, containing a gym and sauna, a spa with unrivaled views, a restaurant and a lounge, and a rooftop Sundeck. The Au Co established in April 2012. 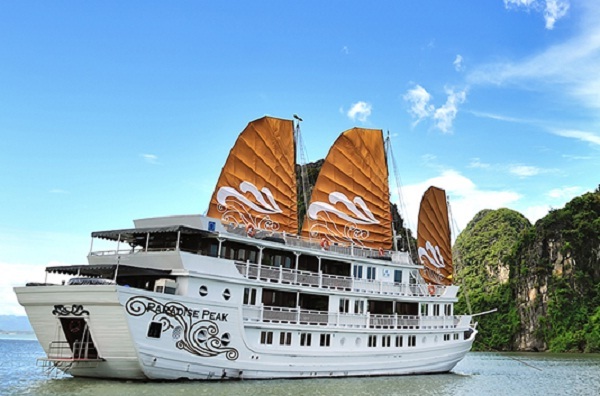 The biggest cruise on Halong Bay is a remarkable 55.29 m in length and 10.43 m in width. Each of 32 spacious cabins has its own private balcony– allowing unparalleled private views of the surrounding seascape. On the upper decks, the luxurious restaurant and open-air bars are designed along principles of “Feng Shui” to intensify the tourists’ sense of connection with the wonderful environment of Halong Bay, as well as giving them an experience of the Orient and Vietnamese culture. Through the innovative use of space, design features, and luxurious attention to detail, the Au Co Cruise aims to give a truly special cruise experience.